Kyrie Irving, Duke: Can get into the lane on anyone, and is a terrific passer once he gets into the lane. Brandon Knight, Kentucky: Will take over full-time point guard duties immediately, but he is a great scorer. Josh Selby, Kansas: If he is cleared to play, look for him to become one of the best scorers in the country. Joe Jackson, Memphis: Slightly undersized, but he will be one of the most entertaining players around. Cory Joseph, Texas: One of my favorite players in the high school ranks, Joseph can make plays at both ends. Phil Pressey, Missouri: He is perfectly suited for the Tigers’ “40 Minutes of Hell” system; he gets up and down in a blur. Ryan Harrow, North Carolina State: He has swagger and athleticism that will help in the ACC. Vander Blue, Marquette: Might not start immediately, but he has great size and plenty of talent for the position. Juwan Staten, Dayton: Look for Staten to take over the starting point guard duties from day one for the Flyers. Ray McCallum, Detroit: Along with Trey Ziegler of Central Michigan, he turned down big-time schools to play for his father. 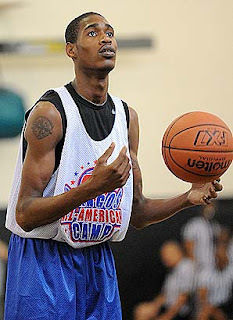 Will Barton, Memphis: Recently was cleared to play this season, and will become one of the best scorers in C-USA. Reggie Bullock, North Carolina: Will combine with Harrison Barnes to form an all-freshmen wing duo. Dion Waiters, Syracuse: Explosive combo guard who can get to the rim on anyone and is a dynamite finisher. Lorenzo Brown, North Carolina State: Crafty and creative combo guard who can distribute and score well. J.T. Terrell, Wake Forest: Has never met a shot he didn’t like, and that will help for a depleted Deacons’ squad. Doron Lamb, Kentucky: Should start immediately next to Brandon Knight, and will be consistently underrated. Terone Johnson, Purdue: There is a chance he will start in a three-guard alignment; he brings instant offense. K.T. Harrell, Virginia: The Cavaliers need some perimeter offense this season, and Harrell should fit that role. Gerard Coleman, Providence: A very long and lanky player, Coleman is an excellent scorer and lockdown defender. Terrence Ross, Washington: Has plenty of players in front of him at UW, but he came on strong his senior year. Harrison Barnes, North Carolina: The best freshman in the country, and could be the best player in the country. Jereme Richmond, Illinois: Instantly one of the Illini’s best playmakers because of his scoring and passing ability. Keala King, Arizona State: One of the most versatile freshmen in the country, King is a smooth playmaker. Rod Odom, Vanderbilt: An underrated forward, Odom can score in a variety of ways and create match-up problems. Cameron Clark, Oklahoma: Clark is adept at creating his own shot and has a very solid mid-range game. Jelan Kendrick, Memphis: Can play a variety of positions, but needs to work on his perimeter shot. Travis McKie, Wake Forest: McKie has deep range and is a very smart player. Will need to play immediately. Jamail Jones, Marquette: An impact player at both ends of the floor, Jones is a physical player who is improving. 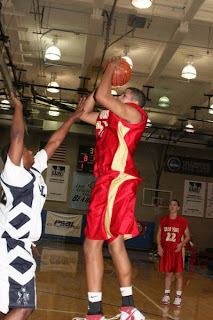 Mychal Parker, Maryland: Parker is an aggressive performer who gets into the lane and finishes with ease. Anthony Brown, Stanford: Can play both wing positions, and brings a nice stroke and good scoring ability. Tobias Harris, Tennessee: Improved as his high school career progressed, he brings a great inside-outside game. Terrence Jones, Kentucky: A very versatile forward, Jones is adept at making plays at both ends of the floor. C.J. Leslie, North Carolina State: Creates match-up problems due to his speed, athleticism and skill set. Tristan Thompson, Texas: Thompson has a long wingspan and is a very good defender. Is improving offensively. Renardo Sidney, Mississippi State: Sat out last season, but will play this year and should make an immediate impact. DeShaun Thomas, Ohio State: One of the toughest scorers and rebounders in the country, he will be overshadowed by Jared Sullinger. Nate Lubick, Georgetown: The Hoyas are a little unproven at power forward, and Lubick brings a unique skill set. Dwight Powell, Stanford: Powell brings an inside-outside game to the Cardinal; he will be tough to defend. Evan Smotrycz, Michigan: Another player who will create match-up problems due to his outside shooting ability. Gilvydas Birutas, Rutgers: An under-the-radar player, look for Birutas to make a major impact for the Scarlet Knights. Jared Sullinger, Ohio State: Has a chance to be the best big man in the Big Ten; quite an honor for a freshman. Enes Kanter, Kentucky: If he is cleared to play, look for him to be a top-five pick in next year’s draft. Perry Jones, Baylor: Arguably the most talented freshman in the country, Jones needs to stay determined and focused. Patric Young, Florida: Developed his offensive game as his career progressed, and now is one of the premier post players. 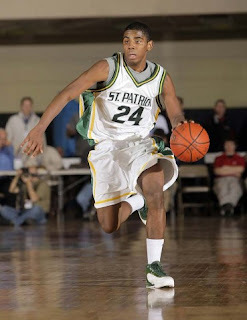 Fab Melo, Syracuse: Melo has terrific foot work and can score effectively inside. ‘Cuse coaches love him. Adreian Payne, Michigan State: Payne has good potential, but he needs to add weight and become more aggressive. 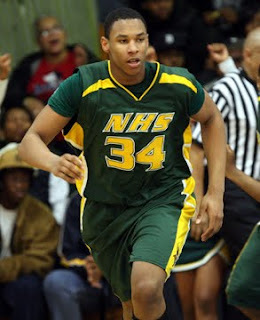 Josh Smith, UCLA: Had some weight and health problems during high school, but is as talented as anyone. 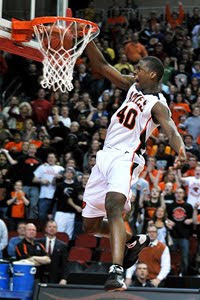 Meyers Leonard, Illinois: Some people tout him as future pro, but he will start out behind Mike Davis and Mike Tisdale. Alex Kirk, New Mexico: A high-major player in the Mountain West, Kirk is a very good passer and can also board. Tarik Black, Memphis: Black is an aggressive finisher and can get rebounds against anyone; fun to watch.